A great experience is our promise to every customer we serve. When customers have questions or need technical support, it’s our job to guarantee better customer care than you’ve experienced in the past. Customer Support: TechStream specialists are here to answer questions about what home or business service package will best meet your needs. If you have questions about your monthly bill, we can handle that too. 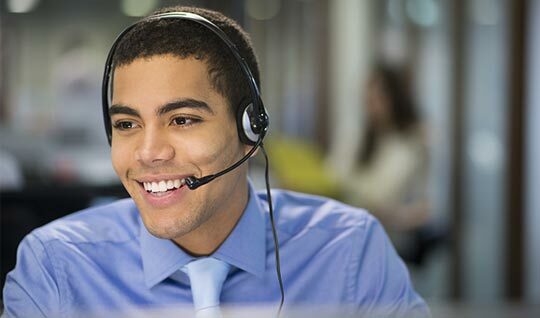 Technical Support: TechStream’s professional technical support team is available to customers anytime, day or night. Our goal is to have any issues resolved within 24 hours. We will always BE ACCESSIBLE, providing multiple avenues to contact us: phone, email and social media, too. TechStream will ALWAYS RESPOND IN A TIMELY MANNER, committed to resolving most customer issues within 24 hours. When you schedule a TechStream technician to your home or business, we will be there with ON TIME SERVICE. We'll always LISTEN TO WHAT YOU HAVE TO SAY, and TREAT YOU WITH RESPECT.